With so many of our students taking part in last term’s Eskdale Festival of the Arts, Ms Hornung gives some insight into the various musical groups in which our international students take part on Saturday mornings. Ever wondered what the teachers get up to in their free time? As you will have seen many of our pupils have been taking part in Eskdale Festival of the Arts, but not many of you will be aware that Ms Hornung has also been competing alongside her daughter Ailsa. She rehearses each Saturday at Whitby Music Centre where she is a member of the Esk Valley Concert Band and Mistral, an elite wind group. Many of our senior musicians are also members of the Music Centre, and we welcome visiting pupils who are with Fyling Hall for shorter periods of time. 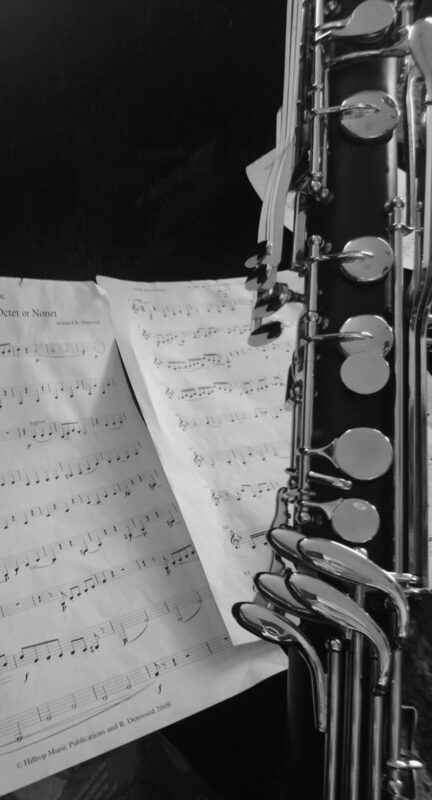 Many of the pupils at school know that Ms Hornung plays the piano, but few have seen her playing the bass clarinet, an instrument she took up whilst at school herself. Both the bands that Ms Hornung and Ailsa perform with were competitors in the band classes and Mistral gained the highest marks of the Festival, being awarded an outstanding 91 out of 100 by Mr Stanley Rubrick for their performance of a Mozart sonata scored for flutes, oboe and clarinets. Mr Rubrick was completely bowled over by Mistral’s standard of performance as most of the 12 musicians in the group are under the age of 18. As you can imagine the musicians were overjoyed by their mark. It reflects the young people’s commitment to rehearsal and independent practice. Even more exciting for a group made up largely of teenagers is that their musical director, Mr Bob Butterfield, peripatetic wind teacher at Fyling Hall, has promised them a meal out as reward for their outstanding performance!